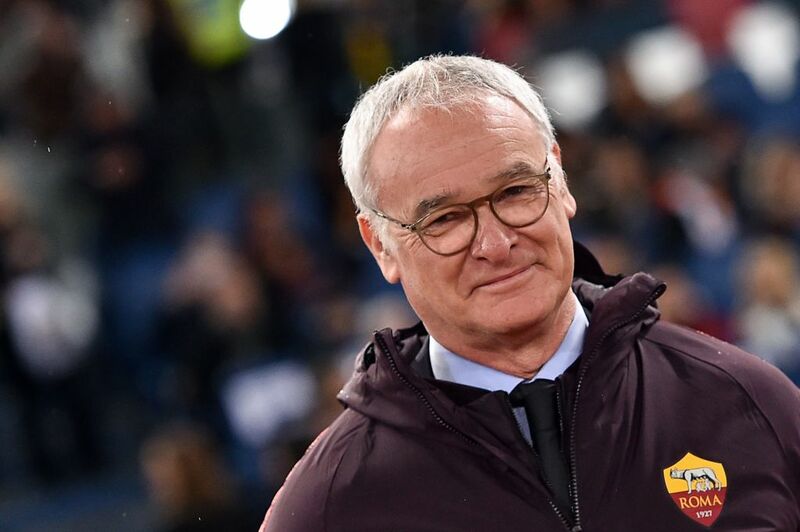 Ranieri, sacked as Fulham manager on 28 February, was appointed Roma’s head coach on Friday after the club sacked Eusebio di Francesco following their Champions League exit last week. Stephan El Shaarawy’s curling 25-yard strike put Roma ahead, but Juan Jesus’ headed own goal quickly made it 1-1. However, Patrik Schick’s powerful header restored the hosts’ lead. Roma played the final 10 minutes with 10 men as midfielder Alessandro Florenzi was sent off for two bookable offences. There was a late scare for Ranieri as Empoli’s Rade Krunic put the ball in the net, but the goal was ruled out after a video assistant referee review adjudged there had been a handball. In an entertaining match at Stadio Olimpico, Empoli’s Manuel Pasqual hit the crossbar with a free-kick with Roma’s Nicolo Zaniolo and Justin Kluivert both shooting narrowly wide. Ranieri began his playing career with Roma in 1973-74 and also managed the team from September 2009 to February 2011, finishing second in Serie A in 2009-10, two points behind champions Inter Milan. The Italian, who managed Chelsea between 2000 and 2004, won the Premier League title with Leicester City in 2015-16, but only gained three victories in 19 matches in a spell of less than four months at Fulham, although he was only out of work for under two weeks after his dismissal. Di Francesco had guided Roma to the Champions League semi-finals in 2017-18, but his side went out in the last 16 in 2018-19, losing 3-1 away at Porto in the second leg as they were beaten 4-3 on aggregate. The win over Empoli leaves Roma fifth in Serie A, three points behind fourth-placed Inter Milan in the final Champions League qualifying place.